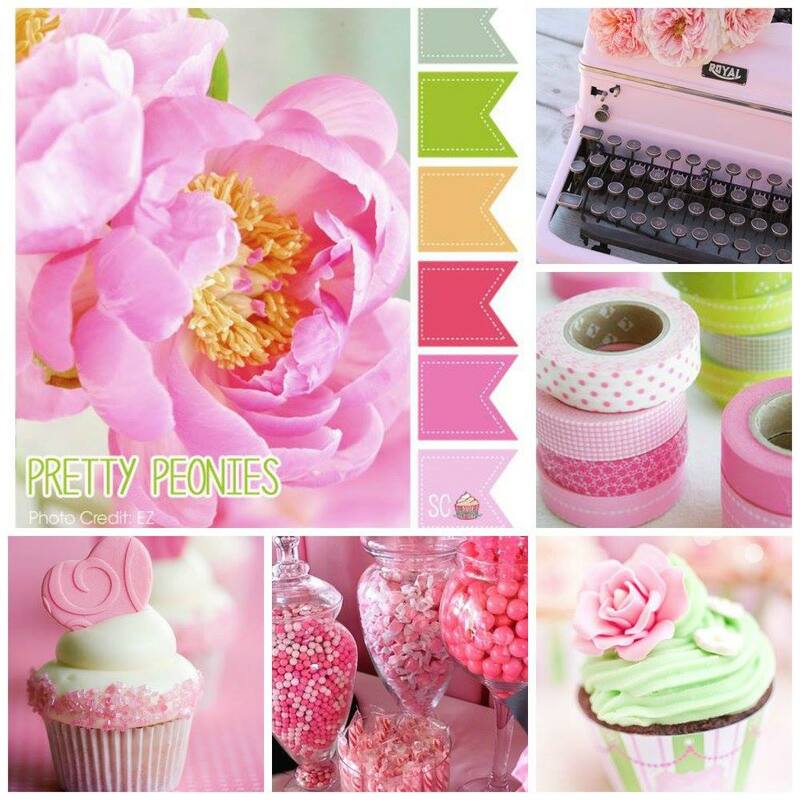 We have a beautiful mood board for February. So much inspiration to choose from. I decided to go with the colors and the flower as my inspiration for this card. 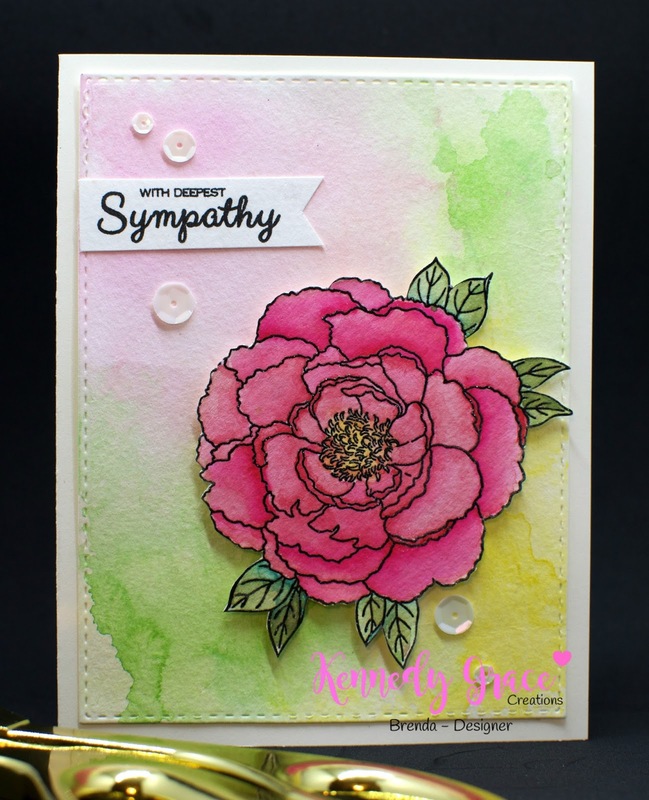 I started by heat embossing this gorgeous bloom from the Kennedy Grace Creations "Just a Rose" stamp set. The flower was colored with watercolors and fussy cut from the watercolor paper. 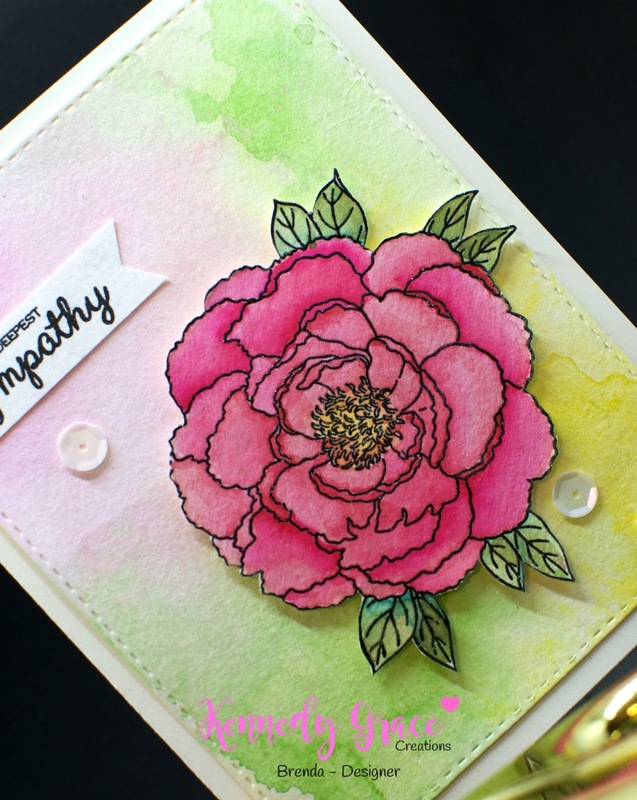 The watercolor background was created by smooching watercolors around on Canson watercolor paper. To get this look, the colors were each dried after they were placed. The panel was cut with a stitched rectangle die. The sentiment is from the Kennedy Grace Creations set, "Grace's Little Note". The card was finished off with Kennedy Grace Chantilly Cream sequin mix. Thanks for stopping buy and taking a look!